Did you know that the Overseas series would continue when you released the first CD in 2003? What was going on in your life at that time, and when did you first start working on the songs? I did not know then that the Overseas name would be the name of the band or the series of records. It was early 2002 when I first decided I was ready. I wanted to make a record of my own, and I had been in NYC for about four years, finding my way and playing with a lot of different musicians. I had definitely found a group of musician friends I felt I was on the same page with. I had also been writing more music, so I started to work out the direction, the instrumentation, who plays on what tunes, etc., etc. The first record kind of had two different bands on it, one that was made with my buddies from the Manhattan School of Music (like Loren Stillman, Jeff Davis, etc.) 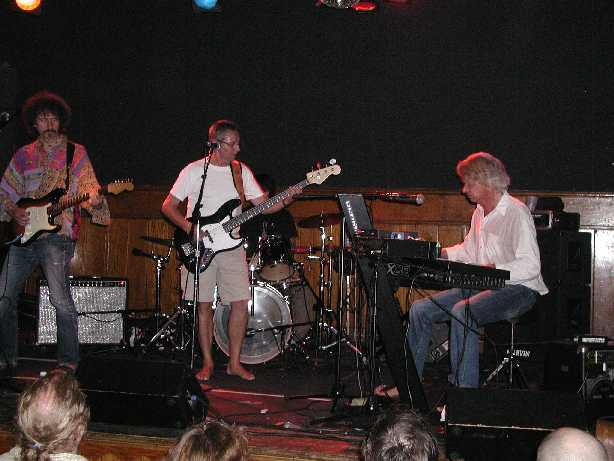 and another band where I sought out some musicians I really dug, but didn’t really know that well, like Gerald Cleaver, Tony Malaby and Craig Taborn. Jacob Sacks and Dan Weiss were also on those sessions. The songs were mostly from the last few years leading up to this, plus a few older things that I reworked. As far as the name, “Overseas,” it was the name of one of the songs. I also liked it as an album name. I really like the word, as it describes a place, but not a specific place…and, it is always another place than where one is at the moment. The term fits my reality: when in Norway, NYC becomes “overseas,” and then this goes other way around when I am in NYC. 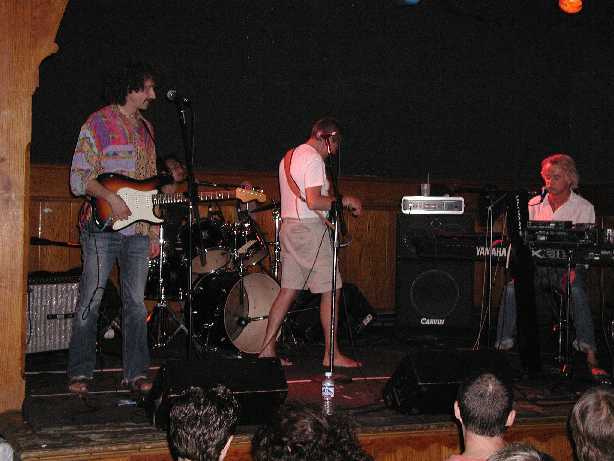 When I started doing shows after the first record came out, I also started to call the band, “Overseas.” When I was about to release the second record, I had trouble finding an album name I liked, so I decided to build on the brand name, (ha-ha), and just call it: “Overseas II.” I think in this age with such an unbelievable amount of music and information, it can sometimes be smart to keep it simple and build on something. At this point, as you compose for the next in the series (Overseas V), do you go back and listen to the entire set and purposefully gather various musical ideas, sounds or concepts in order to connect motifs, concepts or themes? If so, can you give a specific example of this? No, I don’t really do that. I believe that connection and continuity come naturally since it’s all coming from my head. And by the time I’m done with a record, it is something I put behind me in some ways. Then it’s time to look for new ideas and inspiration, and in a way start fresh. When you examine the parts in terms of the whole, are you ever surprised by what you discover? Do you ever come across sounds or musical thoughts that perhaps function as foreshadowing in some way? Yes, there are definitely elements in the compositions or orchestrations or whatever that I evolve and mature. I would say the first two records are coming out of similar concepts, while on Overseas III, and also Overseas IV, there is more of an abrupt change. You can tell it’s from the same aesthetic, but, for example, on the third record, I was kind of done with “jazz solos” and wanted to do more of a concept record where it was more about the mood and timbre of the music–a lot of more ambient and static stuff, but with color…. I was at the time deep into Brian Eno, Morton Feldman and stuff like that, but also into more basic rock stuff, like Neil Young and Pink Floyd. Does it get easier or more difficult to avoid the traps of cliché and predictability as you continue on with this series? Overseas IV is quite fresh and surprising in many ways…. Hmm, I can’t say I’ve met the wall yet, but I also allow my self time between records. I’m not stressing anything and can go and brood about it for a long time, and then one day I feel like I have it ready in my mind. For Overseas V I ‘m still not quite sure what direction to take. I have a few different options floating around in my head. We’ll see. I have been focusing on some other record projects recently…but #5 will definitely come one day, be it in two years or ten. 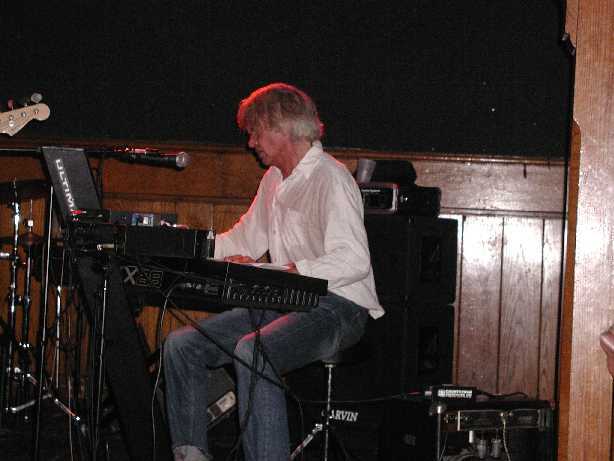 I also want to play more with the band live and do some more touring–get the music out there. I feel like our last record still can be heard and enjoyed by more people. As I release on a label without much publicity, touring helps with that. You have a lot of long term relationships living inside of this music. Jacob Sacks and Tony Malaby have been with you on each album, and you’ve been playing for years with Dan Weiss on Overseas and in other contexts (*) as well. How do these relationships impact your compositional and improvisational processes for Overseas? Jacob and I met in my second year at the Manhattan School of Music. We clicked musically right away, and we have kind of come up together. Jacob is an amazing musician on all levels: I’ve learned a lot playing and hanging out with him. The same goes for Tony Malaby–we’re all on the same page when it come to improvising. We love the unexpected and have an aversion for the formulaic and “perfect.” And I also know that they’re always playing for the music. It’s not about getting to play long solos on top of a rhythm section, it’s about the collective creation of sound and music. When it comes to composing, I have their sounds and approaches in my head. It’s a cliché, but it’s true. The same goes for Kenny Wollesen and Brandon Seabrook, such distinct and unique players: I know that they will bring the music to life. Kenny Wollesen has brought in several of his constructed percussion inventions for the project — can you talk about how his Marching Machine and Spinning Contraption came about for Overseas IV? Kenny has been making his own instruments for a good while now–really creative and unique sounding inventions. The Marching Machine was Kenny’s idea to bring in. It was on this tune called, “Youth Hopeth All Things, Believeth All Things.” I had written on the drum chart: “play like a hundred timber men chopping wood,” so Kenny said his Marching Machine would be the perfect sound for that, and it was! As far as the spinning contraption, he calls it, The Angelic Grinder. I think I just told him to bring in a bunch of stuff to the recording session, and we decided to use it for the track, “Silkweavers’ Song.” It has a great ethereal and mysterious sound. How do you collaborate with Jacob Sacks on the choice of instrumentation? What goes into the choice of a celeste, harpsichord, Farfisa organ, piano, Wurlitzer or Fender Rhodes for a particular song or album? It’s become a thing now — so much so that people ask, “What keyboard is the next record going to feature?” I admit it, I have a thing for keyboards, especially old, weird ones, and I have a growing collection in my studio. It has kind of just worked out so that a specific keyboard has been the sound for each album. 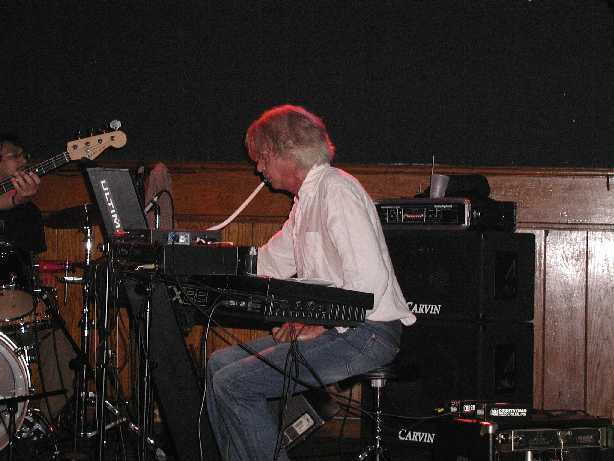 The first one had Hammond Organ and Fender Rhodes, the second one, a celeste. Overseas III had the Farfisa Organ (which I had bought just a couple of months before the recording session). And, for #4, I rented a harpsichord. I have to give Jacob credit for turning me onto the idea of the harpsichord. He had been talking about it for a few years–that it would be cool to record on that instrument. I was brewing on it for a while and then started to realize how a lot of the material I was writing was perfect for it. The harpsichord definitely dictated much of the direction for the last album, much more so than any of the other keys, which in some ways worked more as coloring. The harpsichord also fit right in with other things that had inspired me for Overseas IV, like the Marie Antoinette movie by Sofia Coppola. I loved the way the visuals and the music came together in that. I had also been [getting deeper] into 18th century European history, so it all created a nice framework and mood for the album and the music: a concept album of sorts. For the next record I might go back to having Jacob play only piano, ha-ha. And what’s it like working with Tony Malaby? Tony is amazing. He’s one of those musicians who always gives one hundred percent and is emotionally involved in the music, no matter if he’s just warming up or playing a small club gig or a big festival. How does the recent addition of Brandon Seabrook affect the trajectory and scope of the project? How did this alliance come about? It happened very naturally. 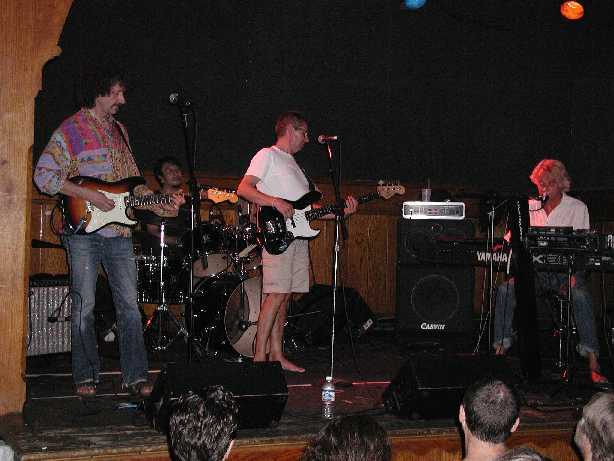 Malaby was out on the road a lot, and we were playing Nublu in the East Village frequently…this was in 2009 – 2010. I couldn’t really picture any other saxophonists, so I asked Brandon, and it was amazing. He’s so free with the music, and I never know what to expect, which I love. It took a while before I had both Tony and Brandon on a gig, but that was fireworks, too. 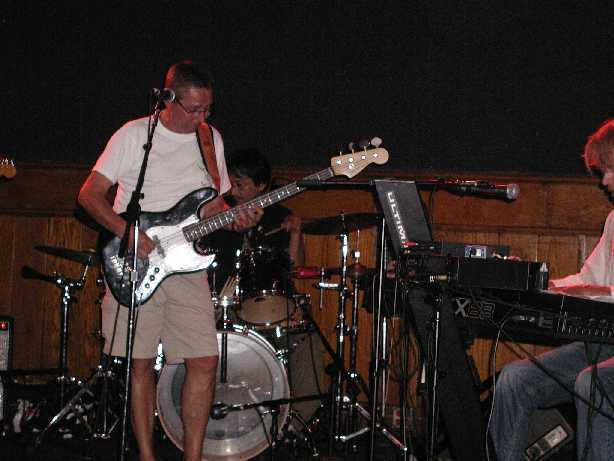 Now we can do a full band or a four-man version with either Malaby or Seabrook–it’s all swell! Brandon is my favorite guitar player now, no question, and I’m really happy he’s in the band—he’s a busy man. You have a lot of in-the-pocket, embedded, overt and subliminal funk in Overseas: Quickstep (Overseas I), Tilt of Timber (Overseas II), Michelle Marie and Youth Hopeth (Overseas IV). How do funk and jazz connect for you? The Overseas series also has a hard rock sensibility, even before the addition of Brandon Seabrook. Yet, I would never use a term like “fusion” to describe your music. Can you elaborate on the rock facet in Overseas? Again, I guess it’s how I hear my music. I was never able to write a good “jazz” tune anyway, so I just went with what I was hearing. I’ve never really been a huge fan of the direction a lot of contemporary jazz composing has taken. I find a lot of it boring and unimaginative: formulaic. There are, of course, exceptions but…I guess my point is: that’s not where my head is when I compose. I know some people call jazz, “creative music.” I think that’s an insult to all other music–all music is creative, and I have to say, lately I find so much more creativity in other genres. But it’s all just good or bad music, I guess. What is the relationship between jazz and classical music on Overseas? I love a lot of classical and contemporary-classical music. I studied classical bass for four years at the music academy in Norway, (the Norwegian State Academy of Music), and I got really into it then. I was never that good or comfortable playing the music, though — too many rules and no freedom, but I have so much respect and admiration for composers like Richard Strauss, Olivier Messiaen, Gustav Mahler, Alban Berg, Ligeti… and many more. But I’ve never really studied their compositional techniques in depth, I just let myself be inspired by the impact [that music has] on me. I have a soft spot for orchestral music. There is nothing like the sound of a great symphony orchestra, or string section! Love that sound. I have a dream of writing for Overseas and strings–I really want to make it happen, but for that to happen I need to do some serious studying and focusing — it’s a whole different animal [and one] that I have a lot of respect for. You also have a high degree of sound-play on these Overseas albums. Redford (Overseas I) carries sounds suggestive of the pop and crack of vinyl and on Jacob Plays Celeste (Overseas II) we hear the typewriter in accompaniment. And, of course, there’s Kenny Wollesen’s inventive sound work. Additionally, both you and Tony Malaby bring out the “non-note/beyond notes” from your respective instruments. How do you come up with these sound-based ideas? Are you engaged in a willful juxtaposition of opposites or is it more loose and organic? It’s mostly improvisational: whatever we hear at that particular point in time. To me, it’s all just sound. I don’t really differentiate between, let’s say, a beautifully played C# and the sound of the bow hairs hissing against the strings, for example. Whatever makes musical sense at that point in time–and I believe that goes for the whole band–without it being a topic of conversation. We all have experience with multiple directions: like, for example, noise improv, electronic music and contemporary classical, so it’s all part of our palette. To take this sound thing one step further–I think this is probably why I’ve always been so involved in the whole process: orchestration, producing, recording, mixing, mastering…to me the sound, the mix, the ambiance of a track can make it or break it. It is really fascinating to me, and I love that there are no rules: only one’s imagination and aesthetic sense lead the way. Your work conjures such a high degree of imagery and narrative for me — I can’t help but think of film and film scores. I also notice a lot of movie references in your song titles and you mentioned the influence of the film, Marie Antoinette. Would you elaborate some more on how film inspires your music? And, are you actively involved with film-score composition at this point? Is Overseas, in essence, the basis for a film? I’m glad to hear that you get visual impulses from the music. A lot of people say that. It’s not something I’m conscious about when making this music, but I guess my thing just has that quality about it. I do like movies (who doesn’t) and can often be very touched by good film scoring–the same goes for cinematography. I haven’t actively pursued film scoring, but would be down to try should the opportunity present itself. I hear it can be a very long, drawn-out and particularly (at times) frustrating work, though. I notice you had a lot of inventive promotional ideas with Overseas IV: you had a download card to pass on to a friend, a really cool poster insert and a crisp vinyl short as an insert. This was all very engaging. What inspired these treasure~chest elements? Just the realization that in this day and age the CD has become a disposable object of very low value. I put a lot of emphasis on packaging and design–I’ve always been interested in Graphic Design and art, so adding a poster to the CD and little things like that just adds to the experience and “value” somehow, at least to me…. Vinyl is more of a collector object, and it’s fun to do. For Overseas IV, I made a 7” (single) with two songs, but also [inserted] a download card for the complete album. Based on the pattern of release dates so far (2003, 2005, 2008, 2012), can we expect 2017 to be the year of Overseas V? Any plans of playing the entire series of five albums in one or two long performances? No plans as of now to play all the records in a live setting like that, but it’s a cool idea, if the right occasion presents itself. Yes, maybe 2017 is a realistic goal for the next one. If the Eivind of the first Overseas met the Eivind of today, what would each recognize in the other and what might you make for dinner? [Both of us] would recognize a deep love of music of all kinds, an aversion to doing things the same way as everybody else, and for dinner I would maybe set off a day and make some real Mexican food. (I never tried—I believe it’s hard). Part II — coming next! The virtuosic Fidelio Trio perform diverse repertoire internationally and features Irish musicians Darragh Morgan (violin), Mary Dullea (piano), and cellist Deirdre Cooper. Tonight they perform music by Donnacha Dennehy, Charles Wuorinen, Johannes Maria Staud, and John Harbison, Donnacha Dennehy, and Evan Ziporyn. Presented by Washington Composers Forum. Seattle’s pioneering ambient/electronic label Palace of Lights presents a rare live performance by founding artists Marc Barreca and K. Leimer joined by guitarist Tyler Boley to celebrate the release of Premap, their recent CD of generative music. Label-mate and MAX/MSP innovator Gregory Taylor comes from Madison, WI to share his gamelan-inflected electroacoustic music. Seattle Modern Orchestra opens its 2014-2015 season with a U.S. premiere of American composer Huck Hodge’s Alêtheia, and his Zeremonie. Also: Boulez’s jubilatory late period work Dérive 1 (1984) and Murail’s 1978 work Treize couleurs du soleil couchant (thirteen colors of sundown), a key piece from the early Spectralist movement. Norwegian double bassist Håkon Thelin came to know the Italian bassist Stefano Scodanibbio after the two met at Thelin’s solo recital in Bergen, Norway in 2005. The friendship and professional relationship the two developed was crystallized in a joint tour of Norway in 2009 and lasted until Scodanibbio’s tragically early death from ALS in 2012. 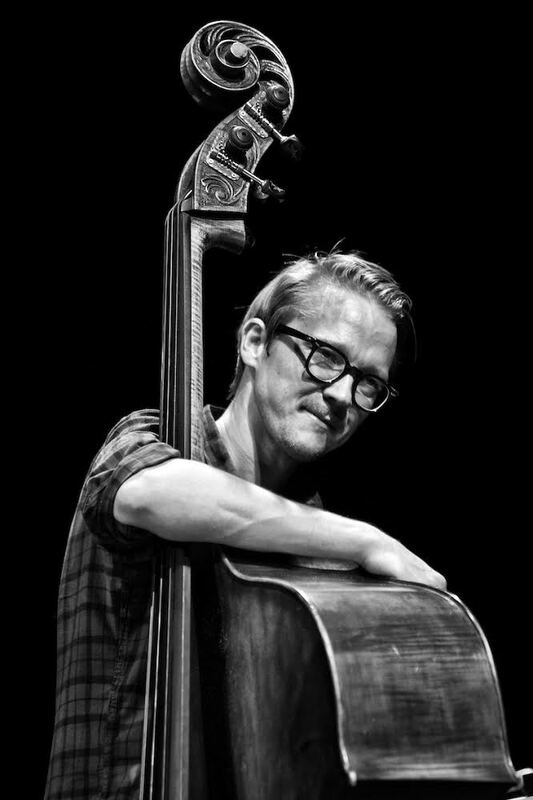 A Stefano Scodanibbio, which brings together three tracks from the 2009 tour as well as solo performances by each musician, is Thelin’s tribute and memorial to this superlative exponent of the double bass. The CD begins as Thelin and Scodanibbio’s friendship did, with a solo performance by Thelin. In fact the disc is bookended by two solo performances recorded by Thelin in Norway in 2013: Luciano Berio’s Sequenza XIVb and Scodanibbio’s Geografia amorosa. Sequenza XIVb was originally composed for solo cello, but at Berio’s request was adapted for double bass by Scodanibbio in 2004. Scodanibbio’s adaptation involved some reworking and the addition of original material, resulting in a virtuoso piece that wrings out of the bass virtually every timbre it’s capable of producing. Over the course of its thirteen minutes it makes extreme technical demands of the performer, who must negotiate a rigorous course of extended pizzicato and arco techniques while maintaining the work’s essential musical coherence. Thelin’s realization of Scodanibbio’s score is masterful, from the opening harmonics plucked harp-style with both hands through the rapid sul ponticello bowed passages, frequent flageolets and all percussive points in between. Thelin’s performance brings out the implicit rhythmic pulse—an important structural element that unifies the piece but that is easy to overlook in favor of the brilliance of its surface events. If rhythm is the implicit theme of Sequenza XIVb, it is the explicit, organizing force behind Geografia amorosa, originally recorded by Scodanibbio for a 2000 release of the same name. This 1994 composition incorporates a series of percussive gestures that make of the bow a kind of mallet, striking the strings above and below the bridge, tapping the instrument’s tailpiece and ribs, and rubbing rhythmically in conjunction with left-hand pizzicato harmonics. Thelin executes all this with an admirable clarity that lays bare the structural continuity of the piece. The three duets consist of two improvisations and a performance of Scodanibbio’s 2002 composition Da una certa nebbia. On this latter piece, which Scodanibbio originally composed for himself and Barry Guy, Thelin takes the first bass part, originally played by Scodanibbio, while Scodanibbio takes the sparse, second bass part, originally played by Guy. The work unfolds in a set of slowly moving, stratified planes of sound bumping up and scraping against each other at deliberately spaced intervals. Thelin sets out dissonant two- and three-note harmonies and arpeggios, which Scodanibbio punctuates with well-placed pizzicato notes and harmonics, gradually contributing long-bowed, complementary tones to Thelin’s surging, sustained sonorities. 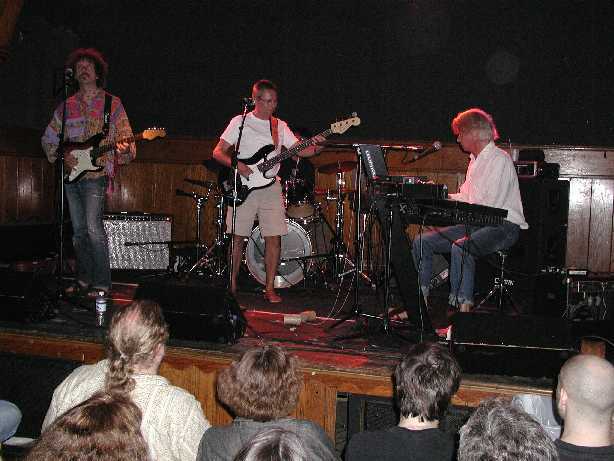 The solo Scodanibbio performance included here is & Roll (2007), Scodanibbio’s playful translation to the double bass of themes derived from Jimi Hendrix. The piece, recorded at the Norwegian Academy of Music in November 2009, can be seen as well as heard. A Stefano Scodanibbio is a fine homage to one of the most important double bassists of recent times. 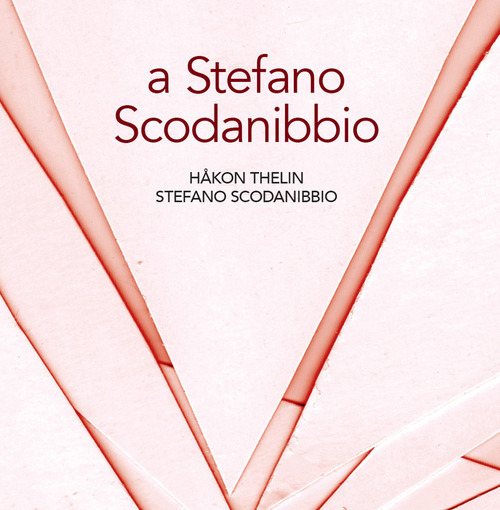 More than that, it demonstrates that Håkon Thelin, in addition to perpetuating the technical traditions associated with Scodanibbio’s style of playing, is a sensitive and accomplished instrumentalist in his own right. As an added bonus, the CD is accompanied by a booklet containing an edited version of Thelin’s thoughtful essay on Scodanibbio’s instrumental style and work. I thought I had lost these pictures ages ago, but as I was cleaning out an old drawer today I came across a flash drive that still had them. 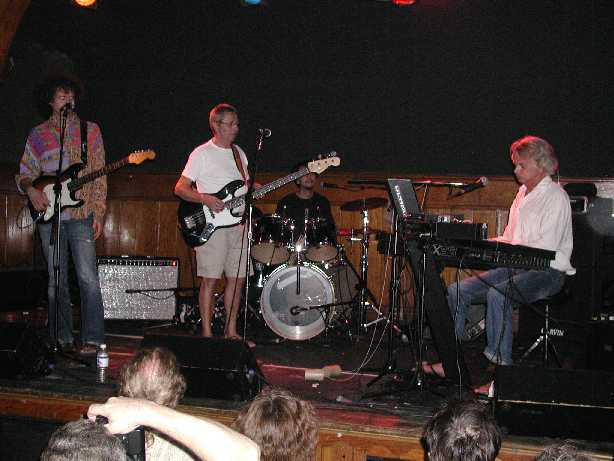 In August, 2003, my friend Mike Eisenberg helped bring Samla to Chicago. 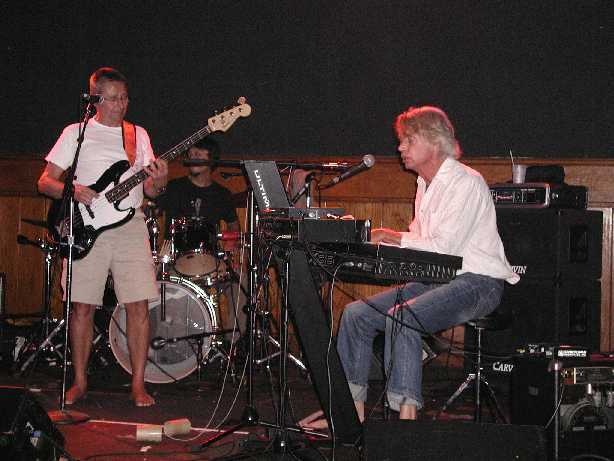 The lineup consisted of Lars Hollmer (RIP), Coste Apetrea, Lars Krantz, and Tatsuya Yoshida. I believe that this was Samla’s first ever U.S. appearance. These photos are raw and unprocessed aside from some cropping and downsizing. Spider Trio, featuring Wally Shoup Dave Abramson, and Jeffery Taylor, have a new release out called Woodland Theatre. A live recording of Dominic Lash (Double Bass), Stuart Chalmers (Tapes/FX), and Dan Bennett (Modular Synth) is available at Bang the Bore. Jason Roebke’s new quartet, Combination is reviewed . A Gubaidulina concert in Boston is reviewed. Jean-Marc Foussat & Ramón López, Ça barbare, là!